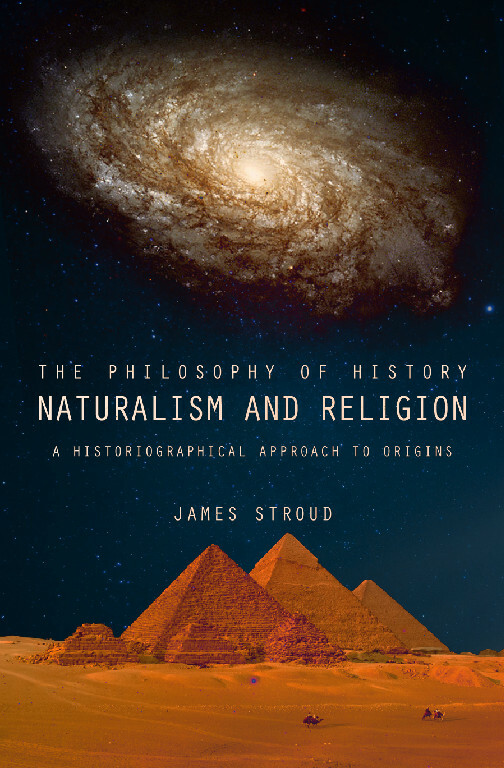 Book Review: “The Philosophy of History: Naturalism and Religion- A Historiographical Approach to Origins” by James Stroud | J.W. Wartick -"Always Have a Reason"
« Really Recommended Posts 11/29/13- Mormonism, Stewardship, Creationism, and MORE! The problem is that it actually doesn’t work. A worldview which is open to the supernatural does not exclude a priori naturalistic explanations. There’s a difference between method and ontology. One can find natural explanations in a method that is open to the supernatural, but in a naturalistic paradigm, one cannot move the other way. Your analogy is broken. One can use a supernatural paradigm and could, possibly, always turn up natural explanations. It is not limited. The naturalistic paradigm is inherently limited because of an a priori decision to commit to a limited view of reality. The historical conquest of Canaan by Joshua has NOT been backed by archeology, on the contrary it has been conclusively disproven. Many important towns of the book of Joshua (including Jericho and Ai) were either non-existent or utterlt insignificant between 1260 and 1100 BC. The strong continuity in the architecture of the cities and villages conclusively precludes the arrival of a foreign people in that region at that time. But above else, accepting the historicity of the accounts has devastating moral and theological consequences. For all outsiders, Conservative Evangelicals like fools when they (rightly) defend the right of unborn children while saying it was good that God ordered soldiers to murder babies and pregnant women alike. „Yes. On my view one must apply something of the same sort of explanation to, say, the atrocities (and treacheries) of Joshua. I see the grave danger we run by doing so; but the dangers of believing in a God whom we cannot but regard as evil, and then, in mere terrified flattery calling Him ‘good’ and worshiping Him, is still greater danger. The ultimate question is whether the doctrine of the goodness of God or that of the inerrancy of Scriptures is to prevail when they conflict. I think the doctrine of the goodness of God is the more certain of the two. Indeed, only that doctrine renders this worship of Him obligatory or even permissible. I cannot count the number of people who have given up their faith because they were taught again and again that you have to believe in the goodness of this divine genocide in order to be a Christian. This might very well be the first cause of apostasy, along the (unbiblical) doctrine of conscious eternal punishment. I like most of what you write and think you do (on average) an amazing job but such kind of things could completely discredit you to the eyes of many people. So I hope you will rethink your position on the Chiago statement of inerrancy . I mean that as a constructive and friendly critque. Thanks for your thoughtful comment. I really appreciate this kind of critical interaction as we both seek the truth. I think that you and I are clearly approaching the issue from entirely different starting points. It may be helpful to draw those out, and I’ll try to do so briefly here. Frankly, my first reaction (other than to be excited that you do, on average, enjoy my writing!) is to say “Oh well…” with a kind of bemused tone/expression. Why should I alter my beliefs because I would be “discredited” in the “eyes of many people.” I can’t help but think of 1 Corinthians 1:18. The truth sometimes does appear foolish to many. Oh well. I think this might show that your position may (hopefully fairly) be summed up by a kind of either-or where it is either direct literal word-for-word reading or it is ahistorical and something else (myth? I’m not sure what word you would use). But of course I don’t think that either-or is valid. I tend to agree with the view of people like Paul Copan in that a lot of the text is hyperbole and would have been understood as such. So perhaps you’re starting at a different point of even approaching the text than I am. Maybe, rather than apparently rejecting it as false (or something else? not quite true? I’m not sure how to present your view), you could think more deeply about hermeneutical approaches to the text. I think this is a very powerful challenge in the sense of emotional appeal. But the bottom line is that things are objectively true or false. If a view of the narrative is true and that view causes people to give up their faith, that doesn’t make the narrative cease to be true. But of course I think this comment is directly related to the false dichotomy I pointed out in 2), above. 4) I already knew that about C.S. Lewis but frankly consider him a decent apologist and a pretty shoddy theologian. Obviously I’m not making an argument here, but I am pointing out that I don’t really take Lewis as authoritative in, well, pretty much anything related to theology. Hope that helps to clarify! Thanks again for your thoughtful, thought-provoking post. I appreciate it, as well as your kind words. Thanks for your answer, I hope we will have other interesting interactions in the future!